I was listening to a local talk show this morning (don't hate me--I was just waiting for the news) when I heard the hosts interviewing two members of some rock band or other. Don't recall the name, don't care. What interested me was the comment of one of the band members who'd replaced the well-known bass player of the group. When the host said, "You have some big shoes to fill," the man replied, "I brought my own shoes." Wow! That's confidence. No attempt to live up to the reputation of the person you're replacing. No struggle to mimic his playing style. I'm not trying to fill his shoes--I brought my own. How many novelists struggle to write like someone else? How many have fallen prey to the temptation to mimic the style of..? You can fill in the blanks. But I'm not Robert B Parker, or Earl Stanley Gardner, or James Scott Bell. I'm me. And I brought my own shoes. There was a time when I was encouraged to make my writing conform to the style of a cozy mystery. The advice was good-intentioned, but trying to follow it was like trying to put on a pair of shoes that just didn't fit. Sorry. I have my own writing voice. I brought my own shoes. Whether you're a writer or an executive, whether you're young or old, no matter your situation, remember this when someone encourages you to mimic what others are doing. You're you. You're unique. You brought your own shoes. I almost drove Kay crazy the first year or so of our marriage. We'd be watching a sporting event and the name of some notable (usually from the past) would come up, prompting me to say, "I know him." Then the room was silent except for the gnashing of teeth coming from beside me. Although I never made it to the majors (despite what the baseball card indicates), I have attended a number of baseball fantasy camps, where I actually got to know Mickey Mantle, Whitey Ford, Enos Slaughter, Hank Bauer, Moose Skowron, Brooks Robinson, Maury Wills, and a host of other famous players. For a week, they knew my name. We ate together, swapped stories (they talked, we listened), and were on the ball field together. So, yes, I knew them. 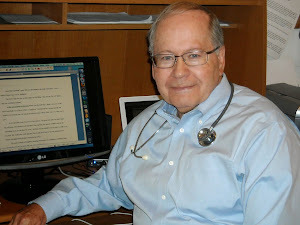 I had the privilege of teaching some medical courses in Hawaii, most of them held at the Hilton Hawaiian Village. This was about the time of the Super Teams competition, held between the two football teams that had met in the Super Bowl a month or so earlier. One year, the Pittsburgh Steelers were at our hotel, and they had a pick-up volleyball game on the beach near where I was hanging out. They needed one more body, so they asked me to play! There I was, setting up spikes for Franco Harris, of "The Immaculate Reception" fame. And when we finished, he said, "Thank you for playing with us, sir." (Made me feel a hundred years old, but at least I can say I've had a conversation with him). There are others. I've talked with Jack Nicklaus while staying at the Doral Resort in Miami. I've had my picture taken with Tom Landry on the beach where we both were vacationing. There are a number of entertainers I've been privileged to treat professionally. In short, I've been extremely fortunate that God has blessed me with the opportunity to meet a lot of the famous and near-famous. Is there a point to this? Yes, indeed. Celebrities may or may not take the job of role model seriously, although I think they should. I will say that every person whom I've named in the paragraphs above conducted themselves with dignity and grace in my dealing with them. Have you ever considered that you might be a role model to someone? Maybe they admire you because you've had a book published. Perhaps they look up to you because you're a success in your profession. They may even hold you in high regard because you're always smiling and even-tempered. I hope that, as you go about your day tomorrow, you'll keep in mind that there's probably someone watching you, someone who, when asked, will smile and say, "Yeah, I know him/her," and mean it as a compliment. I've been playing with animoto. Check this out. It may not be available for pre-order online for quite a while. It won't be on the shelves of your local bookstore for almost a year. But the cover design for my novel has already been finalized (after several rounds), and the designers at Abingdon have done a great job. 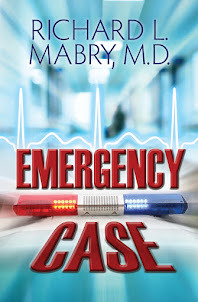 For Dr. Cathy Sewell, Code Blue means more than just the cardiac emergencies she faces—it’s the state of her life when the return to her hometown doesn’t bring the peace she so desperately needs. The town doctors resent the fact that she’s not only a newcomer but also a woman, and the devastating results from one of her prescriptions may mean the end of her practice. As two men compete for her affection, an enemy wants her out of town—or possibly even dead. For you writers who think the work is over when you get a contract, take it from me. To paraphrase a line from the song made famous by the late Karen Carpenter, "You've only just begun." More in a later post on what happens from contract to publication. For now, join me in enjoying the moment. Oh, and the first titles in Abingdon's new fiction line will be introduced this fall. Check them out here. Well, the first Christian Book Expo is history. I attended for two out of the three days, took a few pictures, had a chance to talk with a few friends, and went through the exhibits. I'm sorry to say that I didn't make it to any of the workshops, but I talked with a number of folks who did. What was my impression? I realize that this was essentially the first time such a large endeavor was put together with the purpose of attracting the reading public. Did it do so? Unfortunately, the turn-out was somewhere between disappointing and sparse. Instead of the 10-15,000 people hoped for, the numbers I was hearing on Saturday were something like two or maybe three thousand (and I don't know how many exhibitors and participants were counted in that figure). The workshops were small, except for the estimated two or three hundred who attended the "atheist vs. Christian" debate. If you want to know more about that, talk with someone who was there. I was signing books at the time. Let me qualify this by saying that I've never been to an International Christian Retail Show, but I heard a number of people complaining that, for the price of admission, there should have been more things given away, like the ICRS. But this was a different show, aimed at a different market. The publishers had books for sale, albeit at a significant discount, and there weren't too many "freebies." It was neat to have all the opportunities to get books autographed, but apparently that wasn't enough to make people forsake spring break activities and pay the admission fee plus parking. Did I enjoy it? Yes, because I got to see some friends. I even had some time with my agent, Rachelle Gardner, who will probably need to rest for at least a week after being as busy as she ws for those three days. Unfortunately, I didn't get her to stand still long enough to take a picture of her, but I'll attest that she was really there. I've posted a few photos on my Facebook page. Since I'm pretty non-adept at this Facebook stuff, I don't know if you can access them or not. I think you have to be a Facebook member. 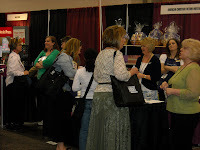 The picture above is of the ACFW booth, with many of the DFW Ready Writers members helping out. I may post some others later as the opportunity presents itself. That's my two cents worth. What about yours? PS--Publisher's Weekly just posted a wrap-up of the CBE that pulls no punches. Can't disagree. The Christian Book Expo, sponsored by the Evangelical Christian Publishers Association, is being held in Dallas over this weekend. I'll be doing a book-signing today, but yesterday I went just to walk through the exhibit area and scope out the proceedings. It was hard to estimate the attendance, because in addition to a huge exhibit area there are dozens of workshops being held at any given time, scattered throughout the Dallas Convention Center. I know the organizers were hoping for 10-15,000 attendees, including clergy, lay leaders, Christian ministry workers, counselors, retailers, library workers, academics, media representatives, and...most important, folks who just like to read. Every publisher represented is giving deep discounts on their books, along with the opportunity to have them signed by a number of Christian authors who are present. This is the first such trade show in Christian publishing that's developed specifically for consumers and everyday readers, and as such it's pretty much a trial balloon. We'll see how it goes. There are a myriad of authors here: Jerry Jenkins, Max Lucado, T Davis Bunn, Liz Curtis Higgs, Brandt Dodson, Mary DeMuth, DiAnn Mills, Deb Raney, James Dennison, Don Piper, Cecil Murphey, Kim Vogel Sawyer, Colleen Coble, Robert Liparulo, Donald Miller, Lena Dooley, and a bunch of others. Yesterday, I enjoyed having the opportunity to roam the exhibit area and chat with some of my friends in the publishing industry. I'm going back today, and will be signing copies of my book, The Tender Scar: Life After The Death Of A Spouse, at the Kregel booth from 2:00 to 3:00 PM today. If you plan to attend, I hope you'll come by and say "hello." I'll plan to post a wrap-up of impressions from the show sometime next week. Meanwhile, enjoy this first weekend of spring. So the answer to the question that was originally raised—should a writer reveal his or her age on a proposal?—is apparently “No.” Does all this really mean that age doesn’t matter when we make submissions? Well, it may not matter in the initial evaluation, but it does merit consideration later. So, although the answer seems to be that there’s no need to reveal your age in an initial query (unless it is relevant to the subject matter of your book), you’d better be ready to address the matter of age if you're asked. Too young? Show why it doesn’t matter. Too old? Prove that you’re vigorous enough to continue writing and assist in marketing. The important thing? Write the best work you can. Then work to make it even better. I'll be attending the Christian Book Expo in Dallas on Friday and Saturday, signing my book, The Tender Scar: Life After The Death Of A Spouse at the Kregel booth between 2:00 and 3:00 on Saturday. I hope to see some of my loyal readers there. Agent Janet Reid has posted an email she received that’s a reply/rebuttal/reaction to a recent effort called “#queryfail.” This was an undertaking where agents posted via Twitter a number of queries that were supposed to generate laughs. My own reaction was that it eventually reached the stage of “piling on” and ceased to be funny, but lots of folks liked it to the bitter end. However, the person who contacted Janet half-seriously suggests an “#agentfail” initiative, and proceeds to list some examples that should make the faces of the agents involved (blissfully anonymous in this case) turn bright red. One caveat, though. Be sure to read the comments, as well, because there are some great insights there. I don’t want to blast agents with this post. I just want to make a point that what we put out into cyberspace can have a far-reaching effect. Authors who have a blog run the risk that something they say, even if said in a joking fashion, might offend someone: potential readers, editors, agents. I try to be aware of that, but sometimes things just slip out. What is sometimes not so apparent is that agents who blog (or Tweet or write on Facebook) run the same risk. Imagine the effect on a writer with a query pending of reading a complaint from an agent about how many queries they receive. Or seeing agents engage in a race to see who can empty their inbox of queries first? (Like to see a bunch of surgeons racing to see who can get a gall bladder out first if one of those was yours?) Again, not agent-bashing--I have a great agent. Just making a point. I guess it behooves all of us, starting with me, to be careful of what we do. Blogs, Tweets, Facebook posts, conversations, even just our wordless actions can have far-reaching consequences. Take this story from Crystal Laine Miller, who functions as a first reader for several agents and editors. Is A Writer's Age Important? A recent post on agent Jessica Faust's website addressed the question of whether an author should include their age in a query. As someone who can identify with the sentiment on the picture at left, I wondered about this as well. I've asked this question of a few people in the industry. Let me share some of the answers with you. Sometimes it is important to know the age of an author. In general, editors need to know if an author is qualified to write for a particular audience, particularly for nonfiction. A thirty-year-old mother of two toddlers usually wouldn't be a great choice to write a practical parenting book because she hasn't been in the parenting trenches long enough; she would lack credibility with potential readers. That same mother might write an inspirational book for young moms, by the way--maybe something showing the reader how she can take advantage of daily opportunities to grow in her walk with God despite the hectic pace of her life--and find a receptive audience. A twenty-three-year-old woman two years out of college might be an excellent choice for writing a Christian-living book for teen girls who want to know what to expect of life in a college setting, away from home. There are times when it isn't necessarily advantageous to reveal one's age. For example, I have worked with novelists in their late 70s and early 80s who write contemporary fiction that is read by much younger readers. 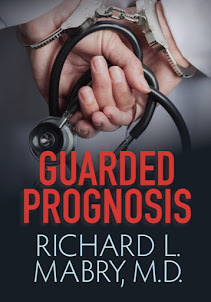 I have occasionally been shocked to learn that I have been working for years with an author of dynamite political suspense who is an octogenarian. Would I have been less inclined to give an older author's work serious consideration than a younger author's work? No, not at all. But I might be predisposed to question whether a seventy-five-year-old man could write credible fiction for teens. In such a case, it might be wise for the author to let the writing itself determine if that author can write for a particular audience. That having been said, older authors are among the easiest and most enjoyable to work with, and I have knowingly worked to help several of them publish first-time novels. I don't think authors sending queries should mention their age unless necessary for a specific reason. To me, age only seems to be a factor when the writer is very young (high school/college age). It's usually pretty obvious from the writing that they lack some maturity and life experience and aren't ready to be published. In the younger novelists, I often see a huge bright spark of potential, but it's still just that -- potential. Other than that, if a person is a good writer, it doesn't matter to me how old they are, and in fact, I love the fact that I get to work with writers of all ages. Now that I’m into my sixties, I’m aware of this more as a writer than as an editor. For fiction, I don’t think it matters. If the story is good, that’s what matters. The only time I think this may be a problem is with non-fiction. Particularly writing for a market younger than yourself. If I tried to write a book for young marrieds, I doubt it would work. People don’t like to hear from old guys on stuff like that, unless they’re an expert. For instance, I don’t know your age, but even as you get older, I think your medical expertise would keep you writing for a long time on non-fiction medical issues, if that became of interest to you. Thanks to Steve, Rachelle, and Nick for sharing their thoughts on this subject. I have come to identify with ageless pitching legend, Satchel Paige, who asked, "How old would you be if you didn't know how old you was?" Well...? Agent Rachelle Gardner has an excellent guest post today by editor John Upchurch, who talks about "killing your darlings." Writers know that this term refers to cutting segments from what you've written, even though you may think the words are heartbreakingly brilliant (to borrow a phrase from Randy Ingermanson). 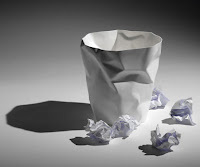 Great writers from Anne Lamott to James Scott Bell have advocated the practice of getting a first draft down quickly, then polishing the work in subsequent rewrites. It's rare to find someone who gets it right the first time, just as there aren't too many folks who do the New York Times crossword in pen. There's always room for improvement. But sometimes, in the process of getting that first draft down, the muse creeps into our study and perches on our shoulder, resulting in a paragraph or scene with which we fall in love. Unfortunately, there are many times when those deathless words just don't fit into the total scheme of the work. Then there are two choices. Totally rewrite everything surrounding that bit or get up your courage and cut it. "Kill your darling." When I end up in this situation, I've tried to compromise by setting up a desktop folder for the segments I have to remove. I cut them, then paste them into a Word document and save them in that folder for use somewhere else. Once or twice I've been able to use one in another novel, on another occasion I found that one of my rejects fitted in very nicely at another spot in the story, but most of the time these darlings languish in obscurity and eventually are deleted. Has the effort it took to write these discarded words been wasted? Absolutely not. Is it wasted effort for a baseball player to take batting practice? The balls he hits won't count in official statistics, but the muscle memory and improved hand-eye coordination will certainly show up later. So will the benefits of the practice involved in writing that brilliant bit that ended up on the cutting room floor. I am privileged to be the author of today's devotional in Upper Room. If you don't regularly read the printed form of this devotional guide, you can see it online. To read my contribution, click on this link. I've been submitting my work to Upper Room for a few years now. Whether submissions are accepted depend on a lot of things in addition to the quality of the work. Do they fit into the theme of a particular issue? Has a similar devotional been printed there recently? Is the subject one that's been overdone? I've been told that the editors consider these and many more factors before making their decisions, and I've always counted it a privilege to have my work appear in print in this fine devotional guide. Late-breaking news: Just got this month's issue of Christian Communicator magazine, and my article, "Crystal Laine Miller: The Secret Life Of A First Reader," appears in it. Sorry, no online version available. 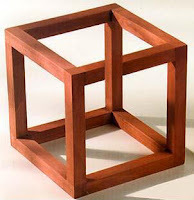 The picture at the left is one of a number you can find via a Google search for "impossible objects." If you're like me, you've encountered some tough times and difficult problems in your life, probably recently. Sometimes it's hard to come to grips with the fact that, although some things are impossible, others are just hard. The Construction Battalions of the US Army Corps of Engineers (the Seabees) had a great slogan during World War II: "The difficult we do immediately. The impossible takes a little longer." Some wags appended one more line to it: "Miracles are by appointment only." Sometimes writing seems to be an impossible task. There's no time. The competition is too stiff. Agents and editors don't like our work. Publishers are cutting back. On and on it goes. Unfortunately, getting published depends not only on talent but on hard work, persistence, and a confluence of just the right circumstances. It's hard, and often influenced by things out of our control. It's not impossible. I was thinking of this recently as I reread a novel by one of my favorite authors, Lawrence Block. In addition to entertaining fiction, he's written an excellent book on writing, Telling Lies For Fun And Profit. In this particular novel, Block has a throw-away line that's stuck in my head. "...You can sail a long ways from Easy before you reach the shores of Impossible." Whatever you're facing, whatever dragon seems to be breathing fire down your neck, try to keep this in mind. Lots of things are hard. Fewer things are impossible. Keep sailing. Today I welcome Donn Taylor as my guest. Male authors in the genre of Christian fiction are rare enough. When two of them live in the same state, they have to make a connection. Donn and I first met at the American Christian Fiction Writers meeting last year, and after meeting him I bought and read a copy of his novel, Rhapsody In Red. It’s a unique work with a unique central character, and I recommend it to you. RM: Donn, your web site heading is “mystery, suspense and poetry.” That’s an unusual combination. Can you tell us how you got to that point? DT: I suppose you could say it stems from varied reading interests. In teaching English literature in liberal arts colleges for twenty years I taught a lot of poetry—many of the best poems that have every been written. For high art in writing, you can't beat it. And I've been teaching poetry writing at writers' conferences like Glorieta and Blue Ridge for several years now. It's almost certain that if you like a particular kind of writing, you're going to try your hand at it. So I did, and the result is a poetry book titled Dust and Diamond: Poems of Earth and Beyond, published last year. The same principle applies to mystery and suspense: I like reading light-hearted mysteries with a good bit of humor in them, and I like reading good suspense novels like Gavin Lyall's The Wrong Side of the Sky. So it was natural that I'd try writing them. My first novel, The Lazarus File, was international intrigue, and Rhapsody in Red is a light-hearted mystery. I hope to keep working in all three genres. RM: In Rhapsody In Red, your central character hears music in his head. Did this concept just come to you out of the blue, or did something trigger it? DT: They say to write what you know, so I decided to write a mystery set in a small-college environment, and my hero (if you can call him that) was to be a history professor. Then I read an article on musical hallucinations in the New York Times. I researched it and learned that those with such hallucinations included Beethoven and Schumann, and that Schumann thought he was taking dictation from Schubert's ghost. I myself don't have true musical hallucinations, but I usually have some kind of music running through my head. That led to the idea of a character whose life was like living in a movie with its own music score--except that some lunatic had mismatched it with the score from another movie. It seemed a good way to spice up the story as it went along. RM: Is there a second book featuring Preston Barclay in the works? DT: I've completed a sequel to Rhapsody in Red, and it's under consideration at Moody Publishers now. It features the same hero and heroine--Preston Barclay and Mara Thorn--as well as several other characters from Rhapsody. RM: Your earlier book, The Lazarus File, features a CIA agent working overseas. It’s so totally different from Rhapsody In Red—was there something that motivated you to change? DT: Nothing really definite. I'd always liked the Raymond Chandler mysteries with the sarcastic hero who keeps everyone mad at him. So I thought I'd move that kind of hero on campus and see what kind of trouble he could stir up. The result was Rhapsody. RM: You’ll be teaching poetry at the Blue Ridge Mountain Writers Conference this spring. Where does writing poetry fit into your life? DT: Poetry will always be my deepest love in literature. But writing it is very intense—every line and every word have to come out exactly right--and you can't keep at it day in and day out. So my poetry will always be rather low volume. However, I think poetry took a wrong turn about a hundred years ago when poets quit writing to a general audience (as Frost and Robinson had) and turned to a small, elitist, avant-garde audience. So, in teaching, I have a minor crusade going to return good-quality poetry to ordinary educated readers. That's the kind I write and the kind I encourage people to write. RM: Any other words of wisdom for my readers? DT: I'm not sure about the wisdom, but I do have two suggestions. First, the common idea that Christian fiction is somehow more limited than secular fiction is false. Most fiction since about A.D. 1900 assumes a naturalistic philosophy. That is, its scope is only the natural world of physical things and physical forces. When human virtues enter, they are merely human: naturalism cannot explain where the virtues come from. Christian fiction can deal with anything in naturalism and go beyond that to the supernatural—to consider God and His relationship to His creation. Second, Christian writers have to be careful how we portray evil. To have meaningful fiction, we have to deal with evil. But we must never let it be attractive, and we must constantly ask ourselves what we're asking our readers to enjoy. If we are asking them to enjoy our portrayal of depravity or evil, we're failing in our mission as Christian writers. Many thanks to you, Richard, for this opportunity to talk to our readers. Writers are paranoid! That's a given. We live in a world where rejection is a way of life, and we're always looking for the reasons it happens. Did we have a misspelling in our query? Should our margins have been different? Or our font? Don't laugh. I've sweated over these things, and if you're a writer, you have too, at one time or another. Agent Janet Reid addresses these issues in an excellent post. Interestingly enough, she says that she's not looking for reasons to say "no," because her default position on a query is already "no." She's looking for a reason to say "yes." If that involves formatting so that the query is more easily read, wonderful, but that's not what determines her response. What makes her change from her default position is the substance, the voice, the intangible whatever that bleeds off the page or screen and says, "This is a keeper." Wish I knew what that stuff was. If I did, I'd put it in a "how-to" book for writers and retire off the royalties.